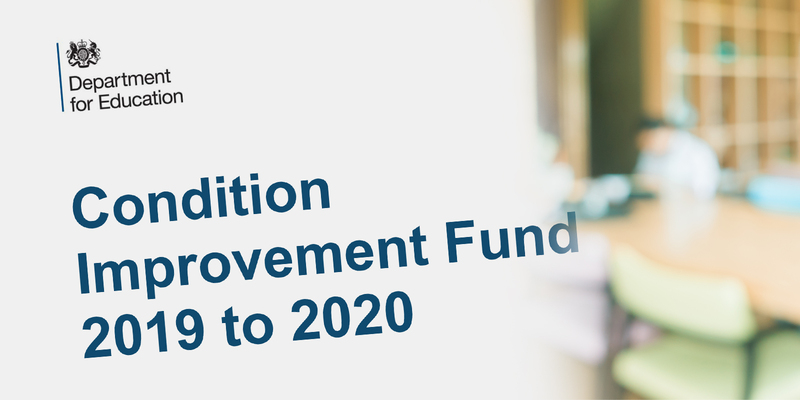 The outcome of the latest round of funding for the Education and Skills Funding Agency’s (ESFA) Condition Improvement Fund (CIF) has been announced and Lea Hough has yet again achieved a new record in the total amount of funding secured. The number of projects that have been granted CIF funding is the highest ever achieved by Lea Hough’s education sector team, and the total amount of funding secured is yet again higher than in previous years. As a result, several academy schools across Lancashire, Greater Manchester, Cumbria and Yorkshire, will benefit from millions of pounds of investment. The CIF is an annual bidding round for academy trusts and sixth form colleges under which schools can apply for government funding to improve buildings and other facilities. Academy schools can apply for government funding for a wide range of building repair and improvement projects, although criteria are strict. Every year, Lea Hough work with academy clients across the North West to submit bids for works that fall in line with the ESFA’s criteria. As well as helping to identify the projects that are likely to gain finding, Lea Hough’s specialist team, led by Michael Harrison, also assist in preparing funding applications. Lea Hough then provides a full project management service to oversee the projects that win funding. The range of projects that were granted funding in the latest round of bids include refurbishment works, safeguarding schemes, fire alarm replacements, boiler and heating upgrades, roofing schemes, window replacements, asbestos removal schemes, and fire door replacement projects. “We are delighted with this result – it’s excellent news for our academy clients, many of whom will begin work on their projects at the start of the summer holidays. “The CIF represents a significant opportunity for academies and schools to receive government funding and having been working in this area for several years now, we have been able to see the positive impact the funding has on academy schools. “We are really proud of our working in this sector and our year-on-year success for our academy clients. The fact that we have been able to help win more bids and more funding than ever before can only be good news for the academy schools involved – many of which are located in Lancashire and Cumbria”. The success rate of Lea Hough’s applications for CIF funding is even more impressive against a backdrop of reduced overall funding levels. The ESFA has revealed that a total of £433 million was allocated – a figure that is down from £513 million last year, so it has been a tougher assessment process. Nationally, 1413 projects received funding at 1210 academies and sixth-form colleges. This compares with 1,556 projects at 1,229 academies in 2018-2019. Despite the tougher competition this year, Lea Hough’s team have achieved improved funding for our academy clients. The news means a busy summer ahead for the Lea Hough team, who will project manage the building improvement and repair works for which bids were successful. For more information on Lea Hough’s services for schools and academies, including preparation of bids for CIF funding, please contact us here.